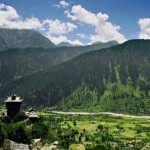 Kinnaur is a land of fairly tails and fantasies as well of unmatchable beauty. It’s spectacular terrain of lush green valley, orchards, vineyards, snow clad peaks and cold desert mountains makes one wish to live and breathe every moment of his/her life here only. 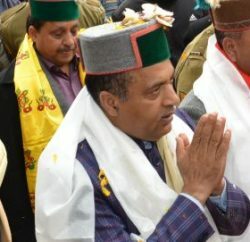 The tribal district in the state of Himachal Pradesh, the culture and language is different from other parts of the state. 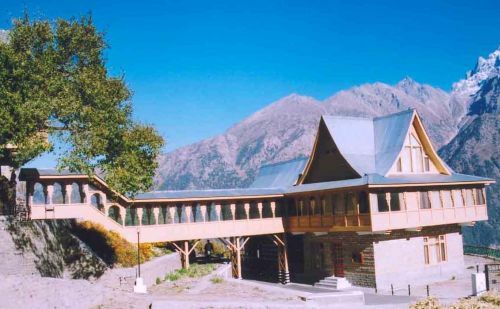 One of the beautiful places of Kinnaur is Kalpa which is situated at the height of 2758 m above the sea level and 110 km from Sarahan. Across the river faces the majestic mountains of the Kinner Kailash range. These are spectacular sights early in the morning as the rising sun touches the snowy peaks with crimson and golden light. 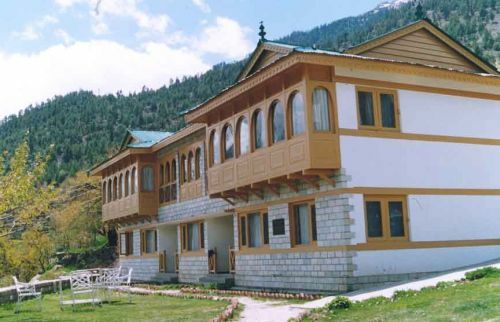 Here, HPTDC runs a newly built hotel, Kinner Kailash. 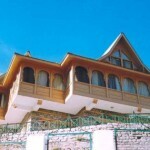 The hotel is strategically located for visiting Kinnaur or traveling ahead to Spiti. This is a newly built hotel with all modern facilities. 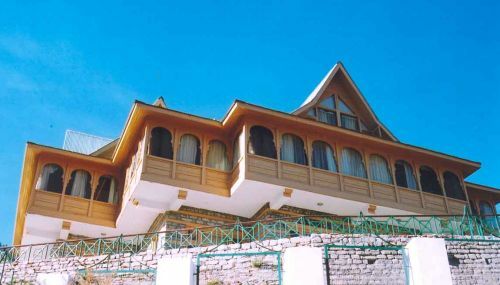 The design of the hotel has been inspired by the traditional architecture of the area. Needless to add, it has one of the finest views in the world. 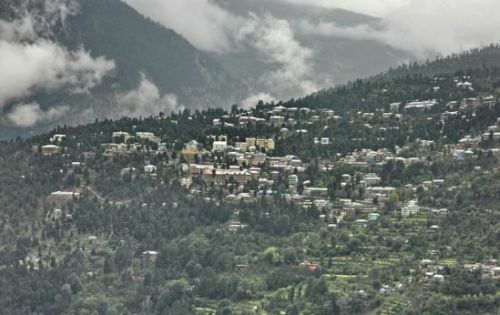 Kinnaur, the tribal district of Himachal Pradesh, lies 250 km away from Shimla, the capital of Himachal Pradesh and is situated on the NH – 22. 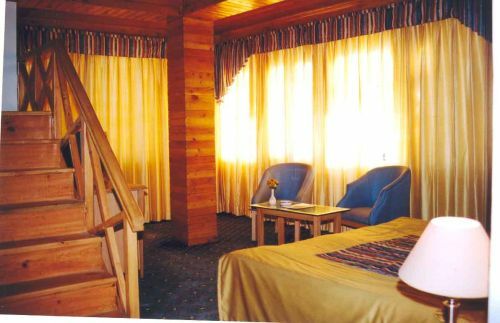 The landscape of the area varies from lush green orchards of the scenic Sangla Valley to the stark magnificence of the Hangrang Valley. Nearest Airport and railhead to Kalpa is at Shimla and is at a distance of 267 km 244 km respectively. 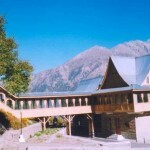 The route is on NH-22, which bifurcates to Kalpa from Pawari. 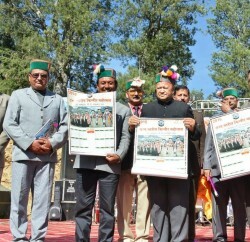 Buses and Taxis are available at Shimla and Rampur. One can reach Kalpa via Manali-Rohtang-Kunzam Pass-Kaza also which is 400 km long way. 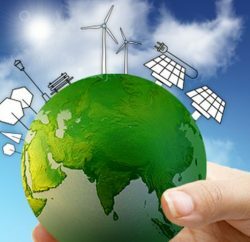 The land of fairytales with beautiful surroundings which is further supported by terrain of lush green valley, orchards, vineyards, snow clad peaks and cold desert mountains makes one breath in the nature’s heaven. Looming in front of Kalpa is an impressive view of Kinner Kailash (6050 M) directly across the Sutlej River. However, it remains cut from the rest of the world most of the time in a year – mostly from May to July. 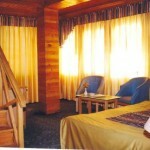 	Rooms are spacious, modern, well furnished with attached baths and running hot & cold water. 	Sprawling Lawn, Parking within premises. Powari: This place is 7 km down to National Highway from Recong Peo. Recong Peo (2290 M). Parvati Kund: It is located on top of its massif. The ancient villages of Pangi, Morang and Kanum are situated close to Kalpa going upstream along the Sutlej River and they offer a good opportunity to observe the lifestyle of their inhabitants. A few kilometers from Powari is Ribba, known for grape cultivation. 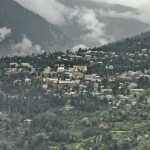 Reckong Peo: At an altitude of 2670M is Recong Peo is located 240 km from Shimla, 7 km from Powari and 13 km from Kalpa. 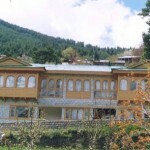 Recong Peo is the headquarter of district Kinnaur. 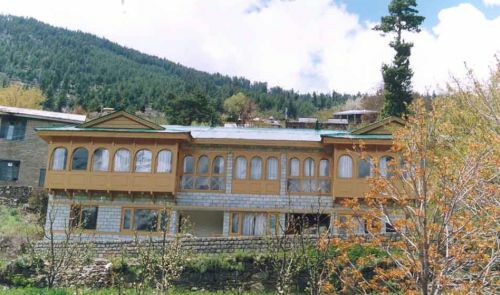 Kothi: Just 3 km from Recong Peo. Kothi has a temple dedicated to the goddess Chanadika Devi. Set against a backdrop of mountains and graves of the deodar the temple has an unusual architectural style and fine sculpture. An exquisite gold image of goddess is enshrined in sanctum. 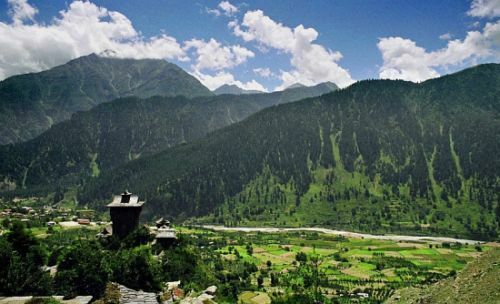 Sangla Valley: If a landscape had the powers of casting spells, then the Sangla valley would be a magician extraordinary. Once seen, it is a place that can never be forgotten. Even the rushing waters of the Baspa river, that flow through its 95 km length, seem to absorb some of the magic and slow down to savor its snow-frame beauty. 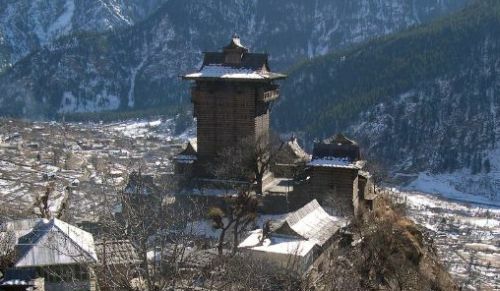 Fort of Kamru: 2 km from Sangla is the fort of Kamru (300 m) its tower like architecture resembles that of the Bhima Kali complex and this was the origin of rulers of Bushehar. Chitkul (3450 m) is the last village of the valley and beyond lies Tibet. 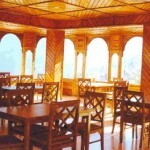 Riba (2745M): Just 18 km from Powari on NH-22 is famous for its vineyards and local wine ‘Angoori’ made from grapes. 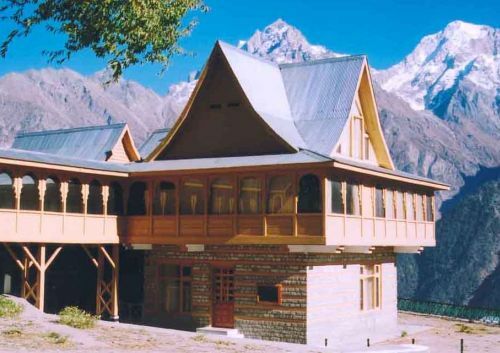 Jangi: 26 km from Powari, the inner border is located here beyond which foreigners require permit to travel upto Tabo. From this point the famous Kinner Kailash Parikarama Trek starts touching Morang, Thangi and Kunocharang villages and entering Chitkul village in Sangla Valley. Puh (2837m): Lush green fields, orchards of apricot, almond trees and vineyards, are to be seen on route to Puh. 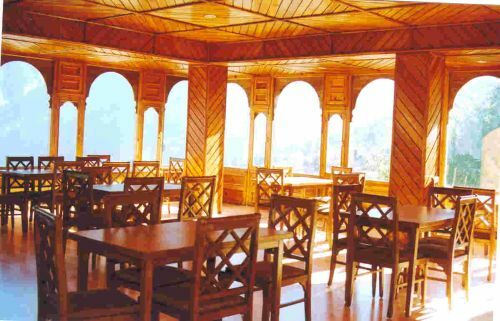 Just 58 km from Powari along the NH-22, Puh has rest house and basic hotel facilities. 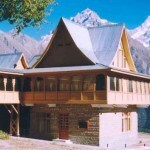 Kaza (3600m): 210 km from Kalpa 47 from Tabo. 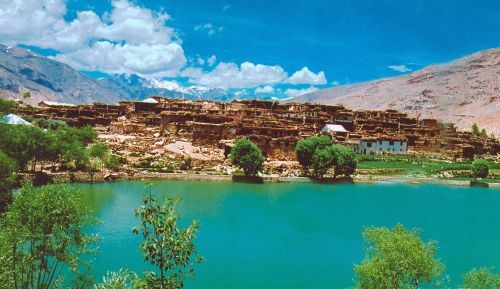 The headquarters of Spiti sub-district, Kaza is on the bank of river Spiti. 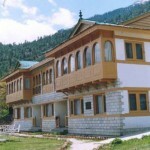 In earlier times, it was the capital of Nono, the chief of Spiti. It has a Buddhist Monastery and Hindu Temple. 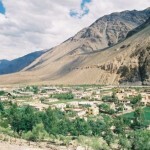 Key Gompa (4116m): 7 km from Kaza. The largest monastery in Spiti Valley. 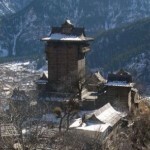 Established in the 11th century, it has ancient Buddhist scrolls and paintings. Also houses the largest number of Buddhist monks and nuns. 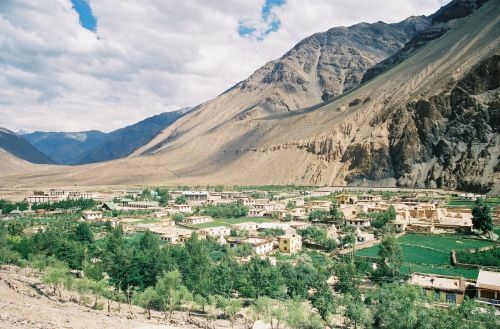 Kibber (4205 m) : at the distance of 18 km from Kaza, Kibber is the highest village in the world which is connected by a motorable road and also the highest village in the world which has its own polling station during elections. Kunzam Pass (4551m): 76 km from Kalpa, Kunzam pass is one of the highest motorable passes. Goddess Kunjum keeps guard over the pass and wards of the evil.